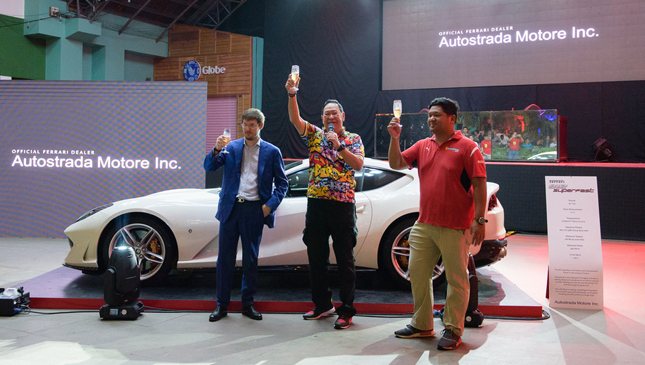 Autostrada Motore, the official Ferrari distributor in the Philippines, unveiled the Ferrari 812 Superfast a few days ago. 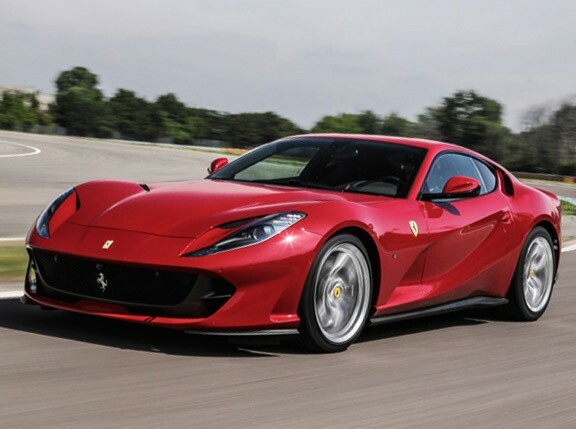 It officially made its debut at the 2017 Geneva International Motor Show, and the ‘812’ designation comes from the 800hp that its 12-cylinder engine produces. Two units of the latest iteration of Ferrari’s classic front engine V12 ‘gran turismo' were on display during the swanky lanuch. One was in Rosso Corso (red) with a tan interior, while the other car is in Bianca Avus (white) with a Bordeaux interior. The cabin of the white car has been optioned out with the carbon-fiber trim to demonstrate the extent of personalization that can be done through the factory. 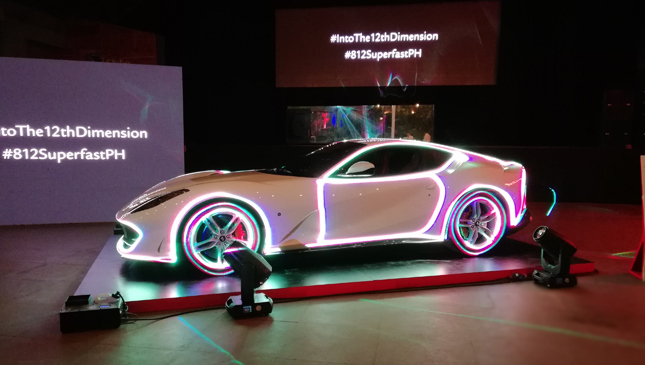 Succeeding the F12 Berlinetta and the F12tdf models, the 812 Superfast comes with a whole host of development improvements to the engine, suspension, and aerodynamics. 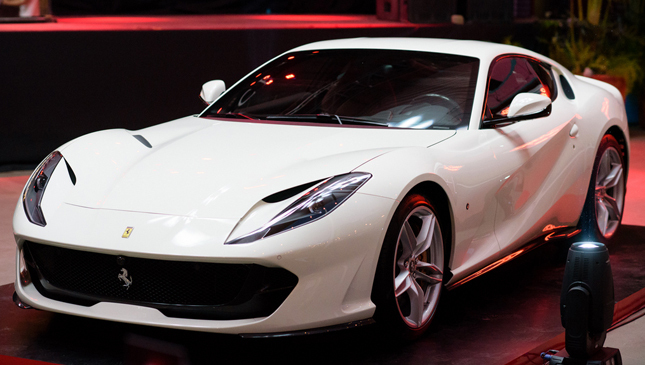 The engine in the 812 consists of 75% new parts and achieves 800hp at 8,500rpm—without forced induction. 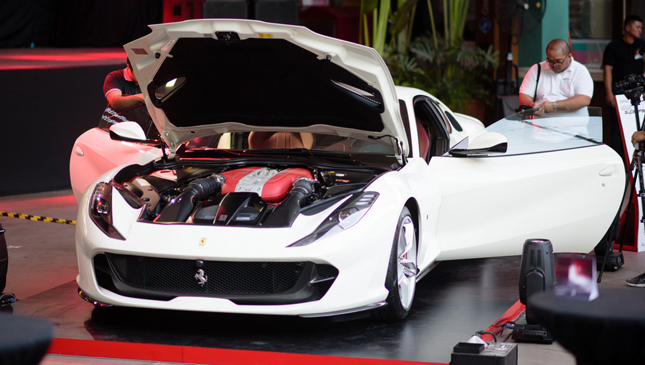 This is the most powerful normally aspirated engine that Ferrari has ever made. 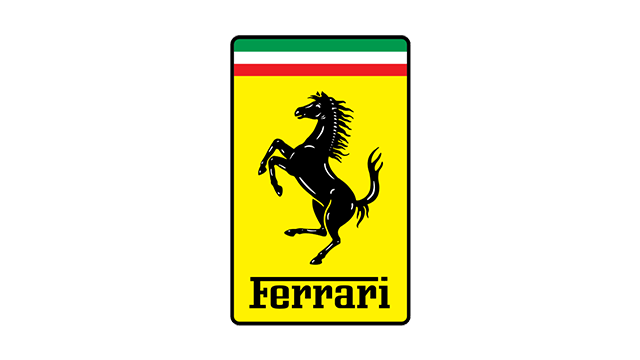 It matches the horsepower of the La Ferrari’s V12 and surpasses it in torque. And then it also exceeds the F12tdf’s twist with a devastating 718Nm at 7,000rpm. This kind of power and torque has been achieved by employing techniques learned from Formula 1—like the continuously-variable-length intake runners, and the gasoline direct-injection system which now adopts 350bar (5,000psi) injectors. 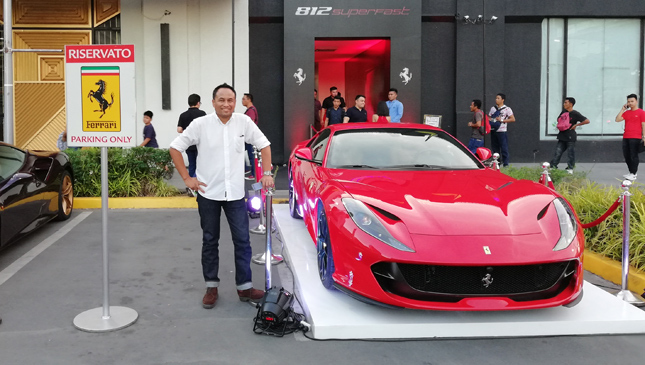 To control this much power, the 812 Superfast utilizes active aerodynamic aids and advances in steering technology that Ferrari refers to as Virtual Short Wheelbase 2.0. 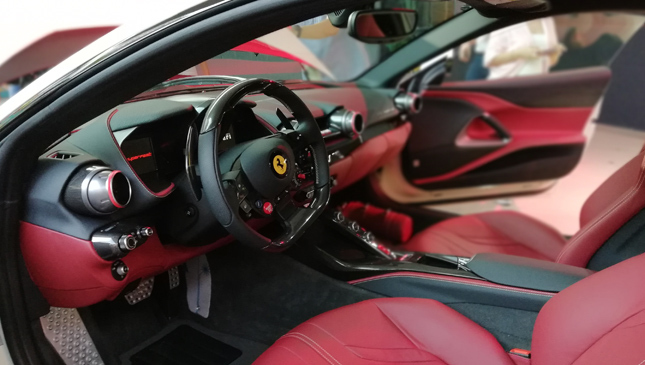 Using, for the first time in the history of Ferrari, electronic power steering (EPS), combined with rear-wheel steering, the high-tech system vastly improves the car’s reaction time and nimbleness. 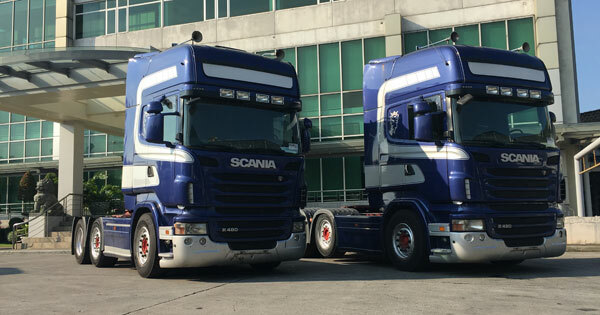 Bringing the highest levels of performance motoring to our shores is a testament to the dedication of Autostrada Motore's Wellington Soong, and his sons Marc and Jason. Because of them, the fastest and the most powerful cars can be found in the Philippines, too. Check out the photos from the event below.